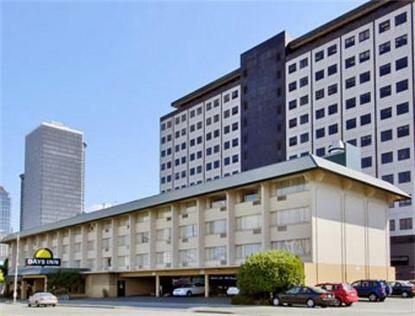 The Days Inn Seattle Downtown offers clean affordable rooms and is conveniently situated between the Space Needle Center and major shopping district. We are in walking distance to numerous attractions, or guests can utilize the Free downtown bus service. Enjoy the restaurant on the property or experience the many fine other establishments within minutes of the hotel. Room types include one queen bed or two double beds. Rooms have the Sunsational Shower. We also offer weekly rates for extended stays. These rooms are mini suites with more room with the added extras of being at home. Please type in LPWK under promo code to see our pricing if you plan to stay 7 nights. It is a great deal. Internet Access available in each room for a fee. Iron and Ironing Boards in all rooms. Parking is 7.00 USD per day. Sorry, we cannot accommodate tour bus parking. Note - Must be 21 years or older to check in. Photo ID and valid credit card required at check in. Cash will not be accepted at check in. Upon check out, we will be happy to change the payment type to Cash.